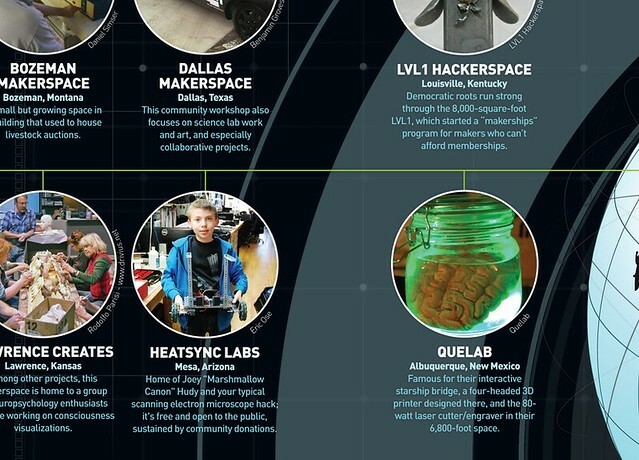 Hackerspaces in the News (mostly our own). 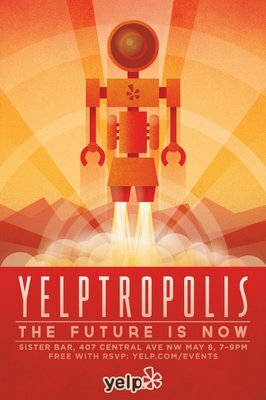 Come join Quelab and New Mexico Yelpers at Yelptropolis, May 8 at Sister Bar downtown from 7-9pm. Yelptropolis will bring an interstellar bash to Sister Bar with plenty of sights, bites, sounds and sippable delights that test the laws of modern man. There’s a lot happening behind these doors, you’ll have to experience Yelptropolis to believe it. Our Makerspace/Hackerspace partner for the evening, Quelab, is stacking the house with fascinations unforeseen, and you can experience what’s Next in the 505 with an array of modern magicians. Themed threads aren’t required, but we’d love to see you costumed for your vision of the future, anything goes: dystopia, space odyssey, zombie apocalypse, we’re game. Yes, there will be prizes. While the event is totally free, please bring tips for servers and we suggest a $10 donation at the door for our nonprofit partners. Check out this list of contributing vendors and sponsors! Click through to see our own Vice President Walter demo the flavor-hacking tablets on uPublic’s “Morning Brew” with Howie from Yelp!